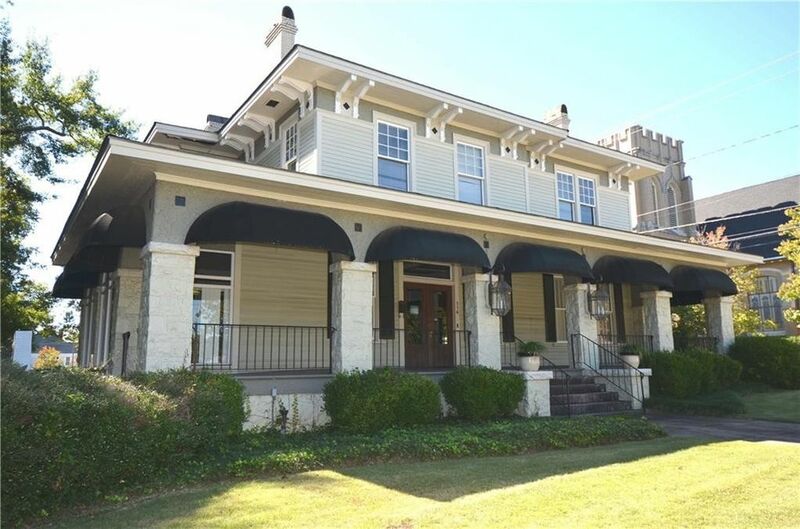 Although this beautiful Southern home is being used as a law office presently, it could easily become a fantastic residence. The owners have taken great care of this home. There is no carpet, only wood throughout the home on both floors. There is a new roof and the complete outside has been painted. All baths have been upgraded. One will immediately notice how well built this structure is. Also notice that all the banisters are hand made. This home is loaded with Southern charm and is listed on the State Historical Registry site. This home is zoned C-2 which allows a residence or a business. Just take a look; you'll be impressed. Directions: On second avenue in Opelika on the corner of 8th Street.